The NCLT has dismissed the lawsuit filed by two Cyrus Mistry family firms against Tata Sons, stating that it did not find any merit in allegations of mismanagement at Tata Sons. The DoT has conditionally approved the merger of Vodafone India with Idea Cellular. The conditions include an upfront payment of ₹7,268 crore. The demand is split between a bank guarantee of ₹3,342 crore to cover what Idea owes on account of one-time spectrum charges and cash of ₹3,926 crore by Vodafone towards the market price for non-auctioned airwaves. Aurobindo Pharma is in final negotiations to acquire Mallinckrodt’s specialty generics business in the US for $850-900 million. The transaction will be among the largest cross-border acquisitions by a domestic pharmaceutical company in recent times. 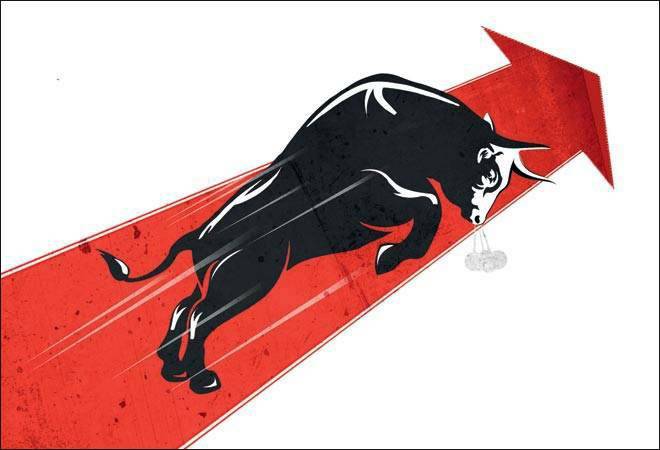 The Sensex surged by around 277 points to close at more than five-month high of 35,935 points while the NSE Nifty ended 80 points higher at 10,853 points. This has been due to heavy buying in energy, capital goods, power and banking stocks following positive leads from global markets and a strengthening rupee. Realty developer Lodha Group has received the SEBI’s approval for its proposed IPO. The ₹5,500 crore IPO would be the country’s second biggest property IPO. Banks to ask the SEBI to allow Alternate Investment Funds (AIFs) to own more than 51% in listed securities. They will also ask the RBI to treat the risk weight of their investments in AIFs as determined by credit rating agencies. If the norms are eased, banks will save about ₹5,000 crore, speed up the loan resolution process and get more capital for lending. Bharti Airtel plans to raise about $1 billion through overseas loans. The funds to be used to refinance its high-cost debt to free up cash for capex investments needed to expand its 4G network to take on Reliance Jio Infocomm and the Vodafone-Idea Cellular combine. TCS reported its Q1 results with profit of of $1.08 billion and revenue stood at $5.05 billion. This has been its fastets growth in nearly four years and has been attributed to a pipeline of new deals and a revival in business from the banking and finance sector as well as in the US. BlackRock has cut its stake in the American Depositary Shares of Infosys to under 5%. It is the latest among various instances of institutional investors reducing their exposure to the Indian IT services. Indian stock indices gained for the third consecutive session with the Sensex ended up 305 points at 36,240 points and the Nifty closed 94 points higher at 10,947 points. Indices are at their highest in nearly 5 months. The Telecom Commission, the highest decision-making body in the DoT, accepted the TRAI’s recommendations of November 2017 in total, underscoring India’s stance supporting an open internet. Supporters of net neutrality welcomed the move while telcos said it could stifle innovation. Vistara, the joint venture carrier between Tata Sons and Singapore Airlines that it has signed a preliminary pact with Airbus and Boeing to buy 19 narrow and wide-bodied planes valued at $3.1 billion at list prices. Malaysian healthcare giant IHH Healthcare nearing to win the bid for Fortis Healthcare after it offered to pay ₹180/share, valuing India’s second-largest hospitals chain at ₹9,335 crore. The Sensex ended up 282 points at 36,548 points after touching an all-time high of 36,700 points while the Nifty ended up 75 points at 11,023 points. This all time high has been due to continued purchases in select bluechips like Reliance Industries, HDFC and Hindustan Unilever. The CCI dismissed petitions of Vishal Gupta/Audney Infotel and Albion Infotech against Google and defended latter’s right to suspend advertising accounts of companies that violate its terms. HCL Technologies approved a share buyback worth ₹4,000 crore at the price of ₹1,100 per share. The shares of the company earlier in the day closed at ₹1,005.30, up by ₹10.25. The DoT has rejected a complaint by RCom of unfair treatment vis-à-vis Vodafone in the matter of one-time spectrum charges on grounds that the two cases were different. Shares of private sector lender Yes Bank touched a record high of ₹385, riding on strong investor sentiment. However, it closed at at ₹374.8 apiece. Malaysia’s IHH Healthcare Berhad wins bid for Fortis Healthcare after the board of the troubled hospital chain chose its $1.1 billion offer over a rival bid from a consortium of Manipal Health Enterprises and TPG Capital. The SEBI has approved HDFC Asset Management Company’s IPO after distributors and financial advisers, who had received shares of the company in an exclusive share sale before the IPO, sold them to private equity firm KKR. The buyback price of HCL Technologies disappointed investors, dragging the share price down by 2% to ₹984.85. The buyback was offered at ₹1,100 apiece, below market expectations of ₹1,150-1,200 per share.